« Interview with “Endo Generation”, a Japanese Girls Generation dance cover team. 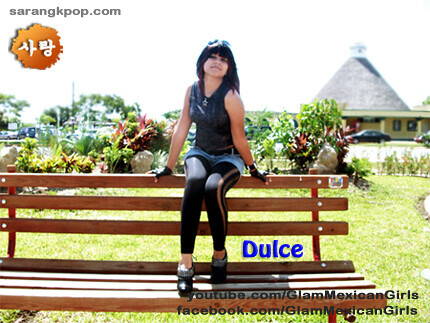 We sarangkpop always wondered about how K-pop was going on in Mexica and got a chance to know that at last. The other day we ran into Mexican girls, in fact they were sisters, dancing to Kpop music and managed to have an interview about their kpop love. Here we go~! 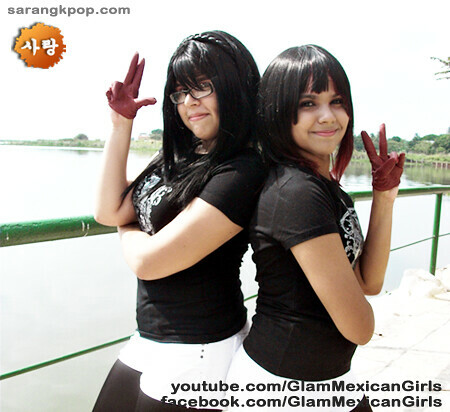 Annyeong-haseyo, We’re Glam Mexican Girls! 1. please, introduce yourself shortly. Nataly: Hi! I’m Nataly, I’m 19 years old, I’m an University Student & my major is computer systems. Nice to meet you! N: I “discovered” the Kpop kkk~ This was because I have a friend in Spain, and she told me about a “Chinese” band , and their amazing songs and dance skills. This band was Big Bang with the song Lalala~ Then I was looking for the MV~ and I found info about them, after this I was replaying the MV and looking for Korean singers kkk~ Now My favorite genre of music was & is Kpop! 3. what made you love Kpop? N: Their new music proposal, because for me they’re so original in all, their choreographies are awesome, and brilliants! 4. who’s your favorite kpop star? Female: SiStar★ And my favorite is BoRa. She’s so amazing! My favorite female band is Girls Generation, but my favorite female singer/dancer is Kahi. 5. how did you start dancing to Kpop? First, was for an audition… Now is for love, respect and hobbie for the Kpop! We really love the Kpop♥! 6. when,where and how do you practice? 7. can you tell us how kpop is going in your country? Sadly, Kpop isn’t popular here T-T, but at least, We can watch Arirang TV here. 8. do your friends like kpop too? D: Umm.. I just have 2 friends, them love the kpop, They’re so crazy for Kpop! 9. do you belong to a Kpop dance cover team? If so, let us kow. We accept requests of our friends and from the Hallyu events. 10. are you guys members of any online Mexican kpop communitys? If so, please introduce to us. 11. do you like Korean dramas? If so, what is your favorite one? 12. Korean dramas are popular in your country? Have you seen korean dramas on Mexican TV? Not really T_T; We watch the dramas online, and 3 months ago, We watched the Korean movie “The Host” in Mexican TV. We were so excited and speechless! 13. do you have a Kpop event in your city? If so, have you been there? The other event is called “Fancity Tampico” (Tampico is the name of our city) This event is focus in Japan and cosplays, but they admit Kpop & performances.